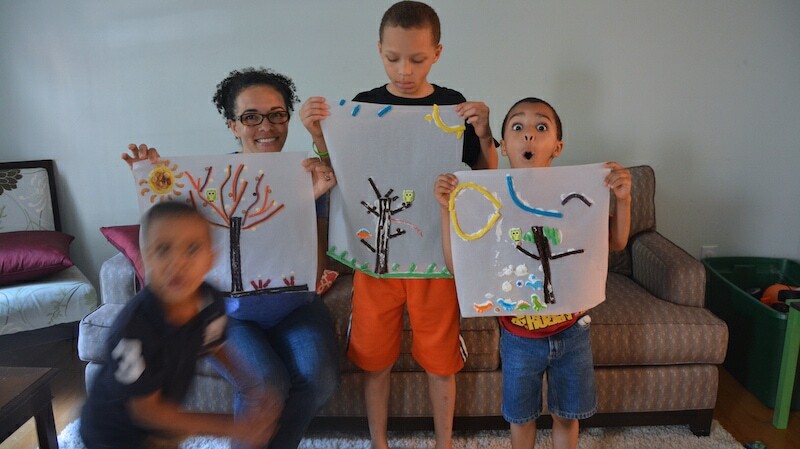 I’m ashamed to admit that as crafty and creative as I am, there are very few crafts that I actually do with my kids. Isn’t that terrible?? I’ve always got one hand on my cell phone and the other on my computer, working. Summer’s here, though, and I’ve got the boys home with me. I wanted to find a way to entertain them while at the same time keeping the peace during summer thrifting trips! 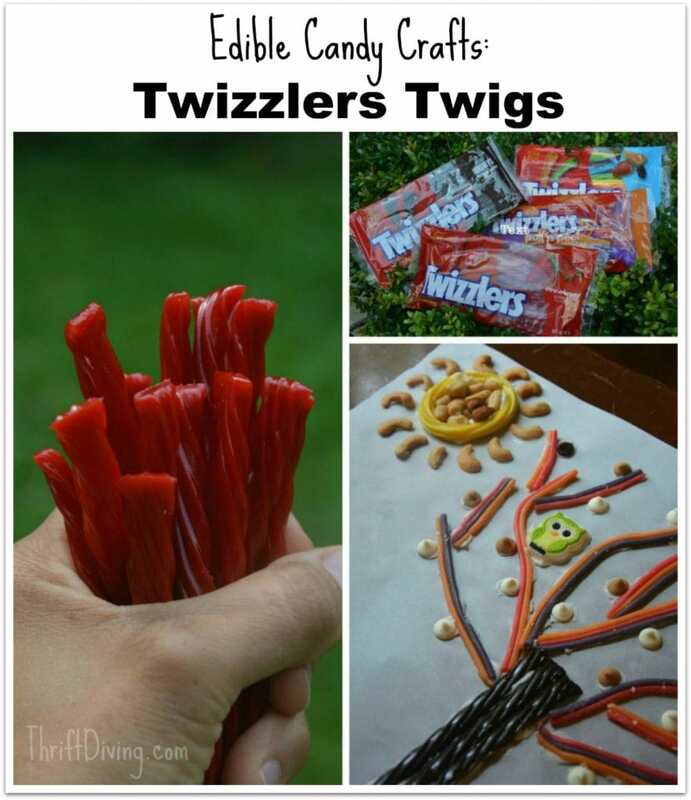 So today I’m sharing with you these fun Twizzler Twigs, which is an edible candy craft tutorial using Twizzlers Twists which you can not only have fun making, but just as much fun eating, especially on summer road trips! STEP 2: Mix the sugar glue. 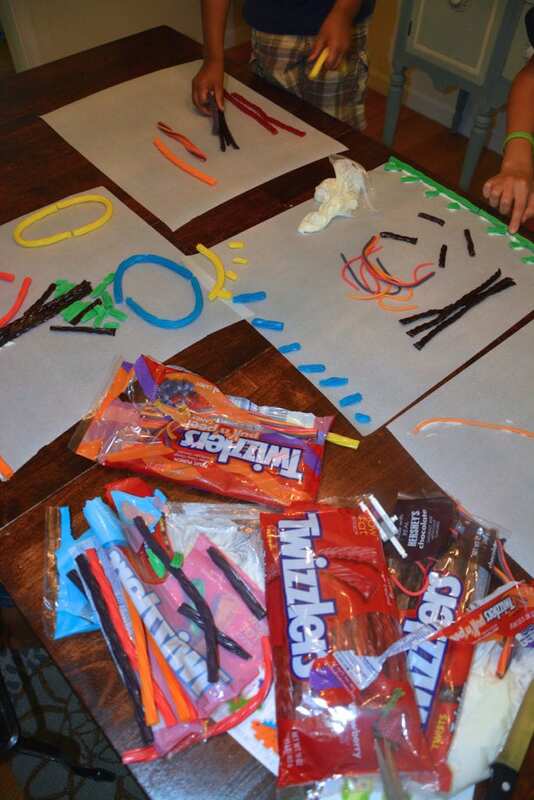 You’ll need a sugar gluing for gluing your Twizzlers Twists down onto the paper. 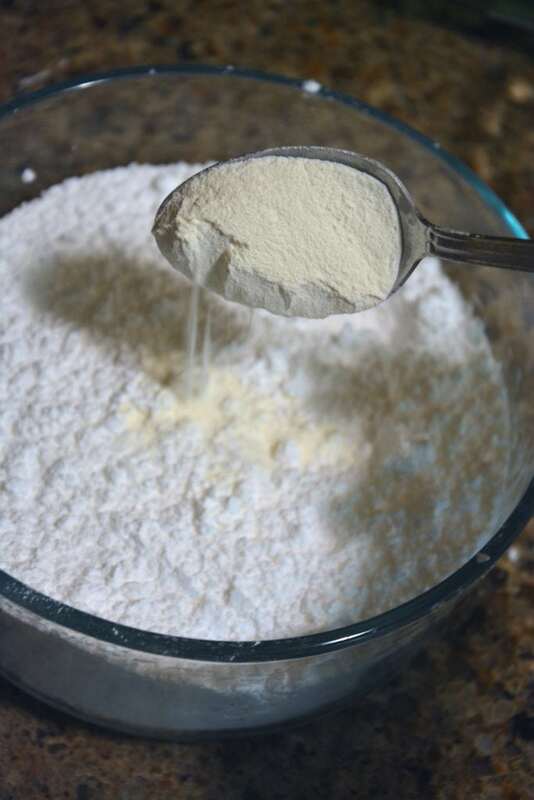 Mix together the powdered sugar (3.75 cups), meringue powder (3 Tablespoons), and water (4-6 Tablespoons) until it looks like a thick paste. Add it to a baggie and cut a hole in the tip. STEP 3: Unwrap the Twizzlers. This is the fun part! Unwrap the Twizzlers and watch how quickly everyone reaches and grabs for the candy! Spread them out and sort them by colors, to easily find what you need. 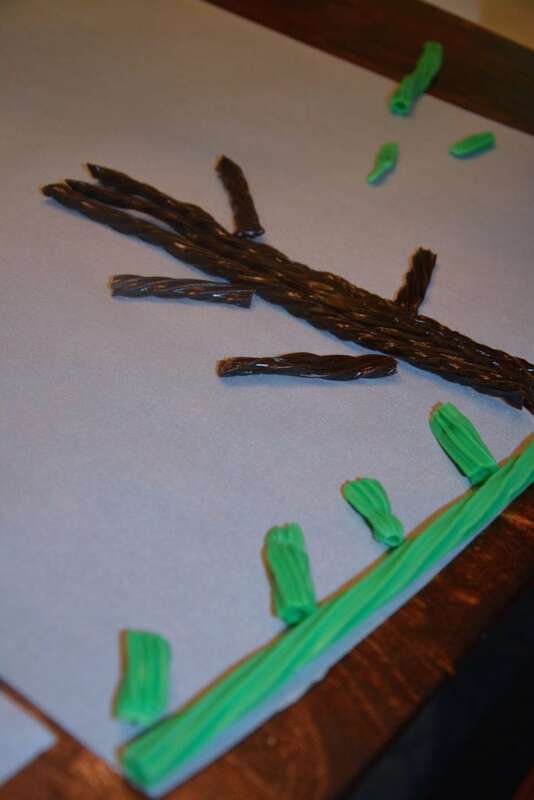 You may want to buy extra packs of the Rainbow Twizzlers so that there are extra colors for grass, leaves, and clouds. STEP 4: Cut up the candy. 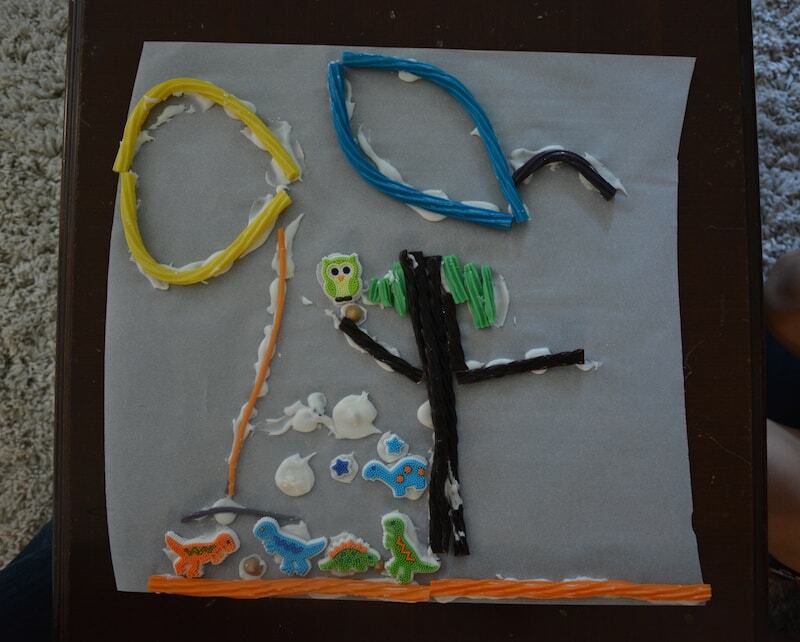 Using scissors or a knife (or simply pulling apart), carefully cut the pieces and lay out the pieces to resemble grass, leaves, clouds, and more! This was the fun part. 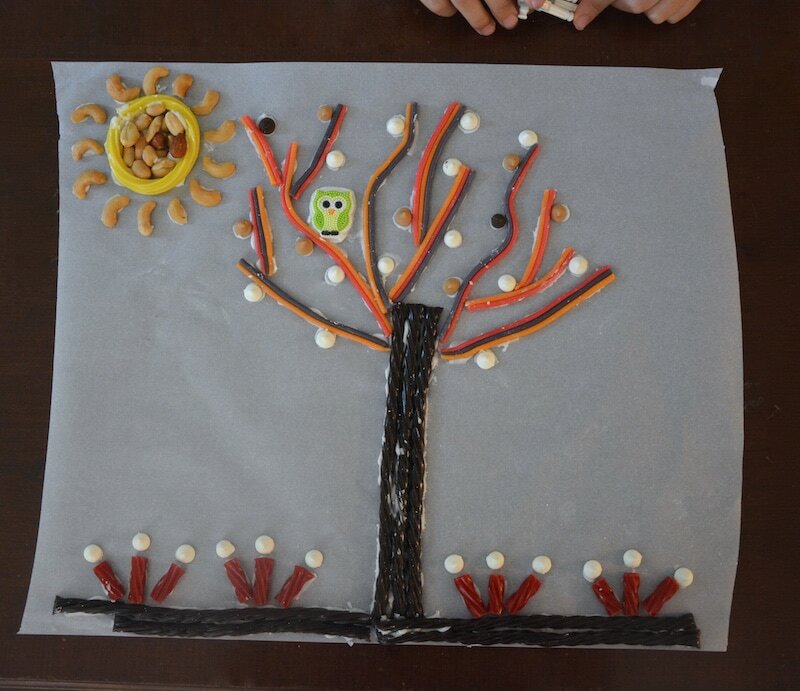 Use the Chocolate Twizzlers make great tree trunks and twigs! 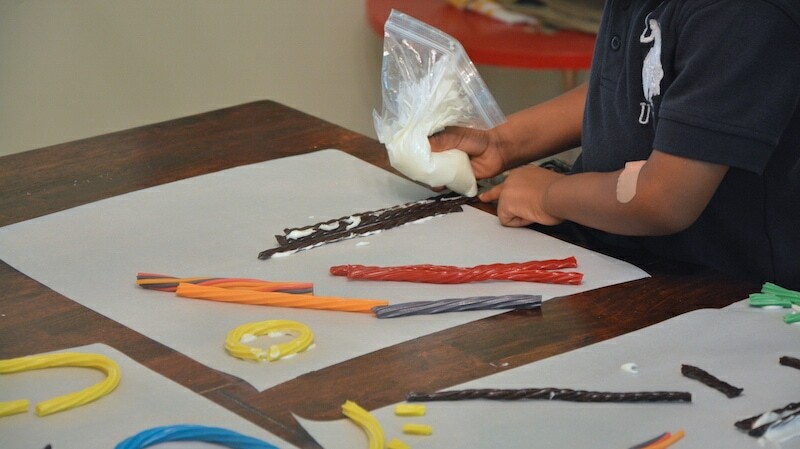 The Twizzlers Pull and Peel are great for creating thinner branches, too. 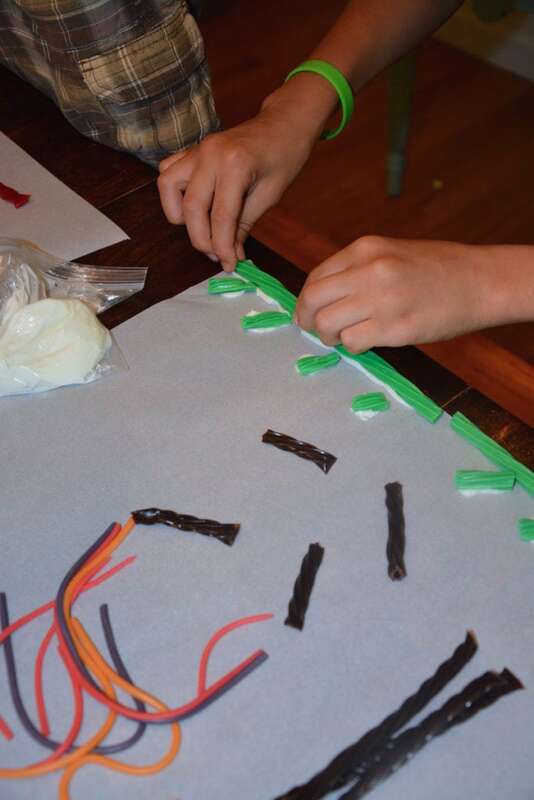 STEP 5: Glue down the Twizzlers pieces. 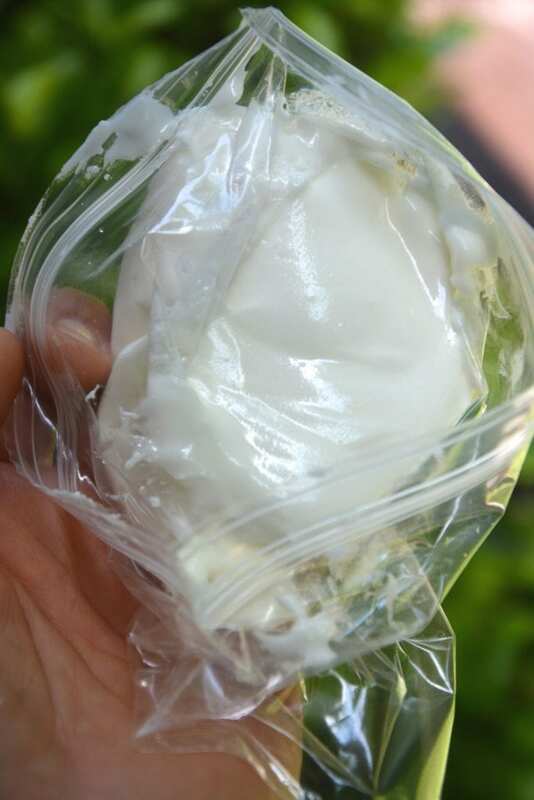 Using your sugar glue, squeeze until the sugar glue comes out of the cut baggie end. Don’t use too much or else it will turn into a big glob. STEP 6: Let it dry! 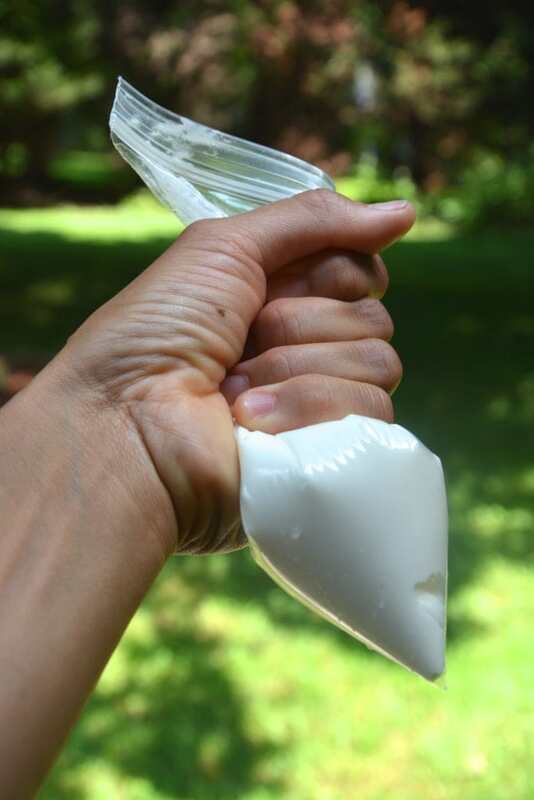 This sugar glue will dry quickly, but remember–it’s not like super glue! Any bumping may cause it to slide off the non-stick paper. 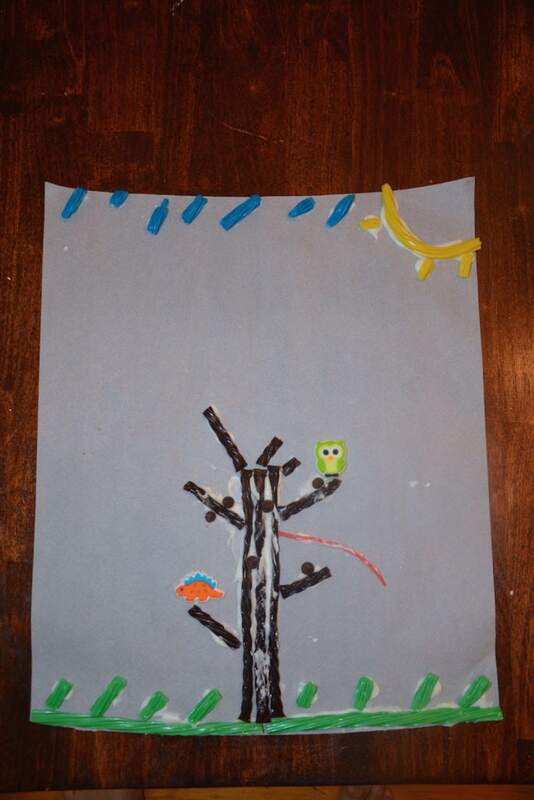 My middle son created this little masterpiece. 😉 LOL. They weren’t the prettiest creations but was it fun?? DEFINITELY!! 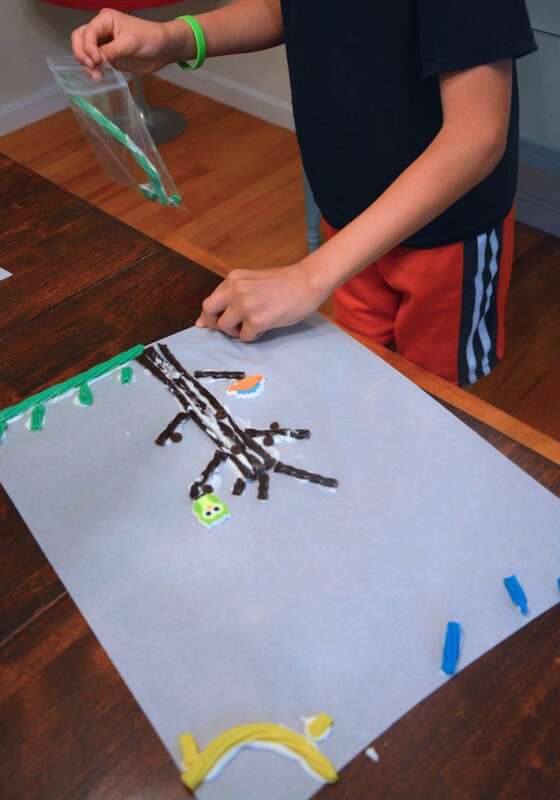 My youngest lost interest, so I made one for him using the Twizzlers Pull n Peel, which reminded me of shoestrings. 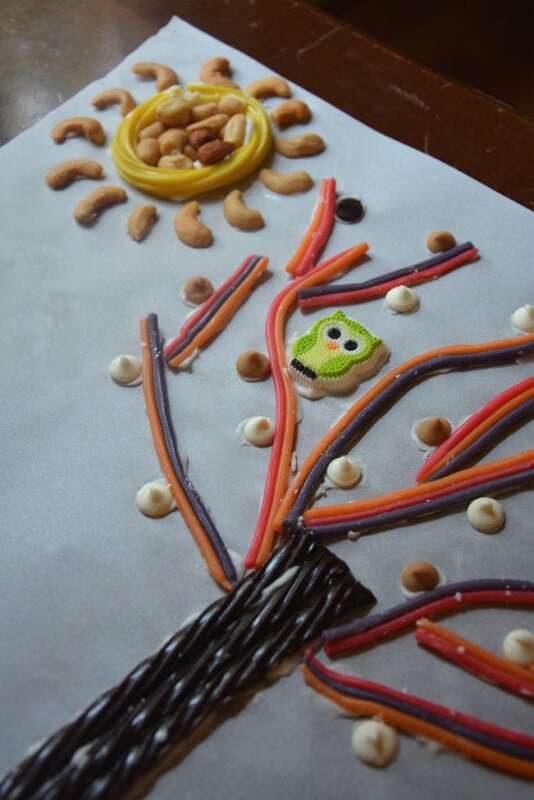 I mixed in some protein to off-set the sugar rush that the kids would get, so I made a “cashew Twizzlers” sun. STEP 7: Peel off and eat it! 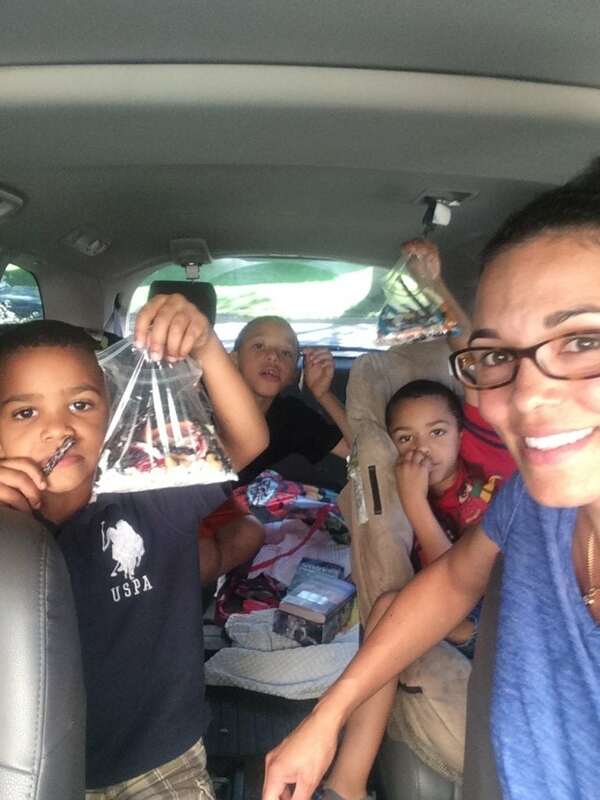 The original plan was to bring our edible crafts with us on the road to keep the boys entertained. But although the sugar glue is stronger than regular frosting, it wouldn’t withstand bumps and shakes; some of the Twizzlers would fall off. 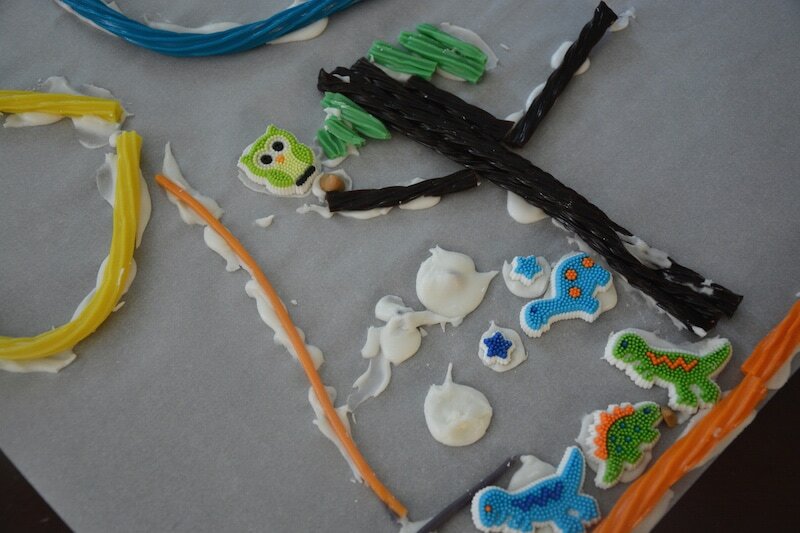 (This is okay if you’re leaving the candy crafts lying on a table). We planned to take our Twizzlers with us for a day fun thrift diving at our favorite thrift store, though. So we peeled off the candy and took it along with us in small plastic lunch baggies. STEP 8: Keep everyone happy! We packed up in the van and headed to the thrift store. This week I’m headed to the Haven Conference (a DIY blogging conference) in Atlanta, and I’m searching for a great dress to wear while I’m there! 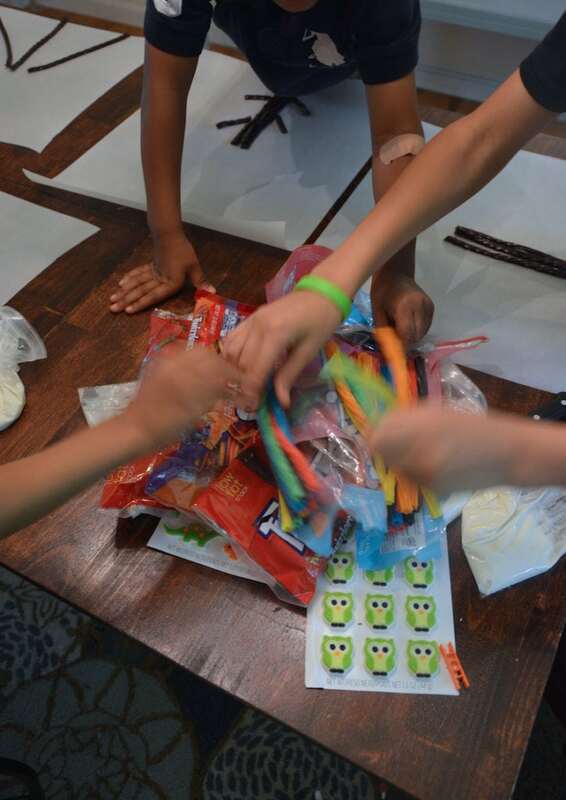 Thankfully, the bags of candy kept the kids entertained and focused on digging out their Twizzlers so I could look for outfits without as much interruption! 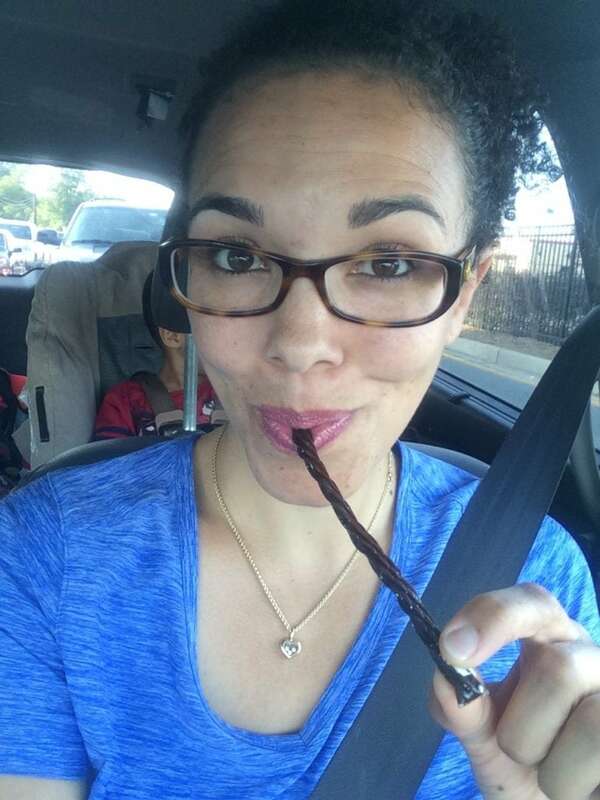 I’ve shared how we’re munching on Twizzlers for our summer fun and day trips to the thrift store–what greats idea do you have for taking Twizzlers with you on the road? Leave me a comment and let me know!